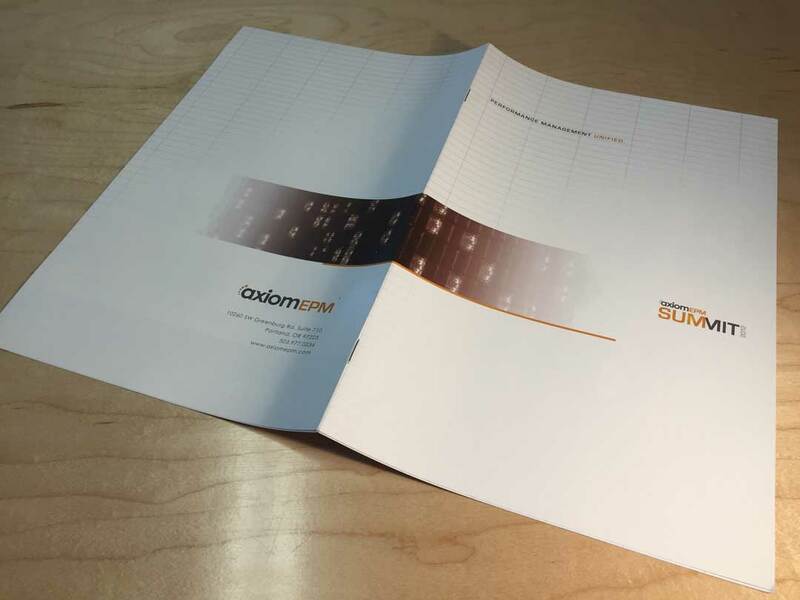 Event program for Axiom customer conference at the Cosmopolitan Hotel in Las Vegas. 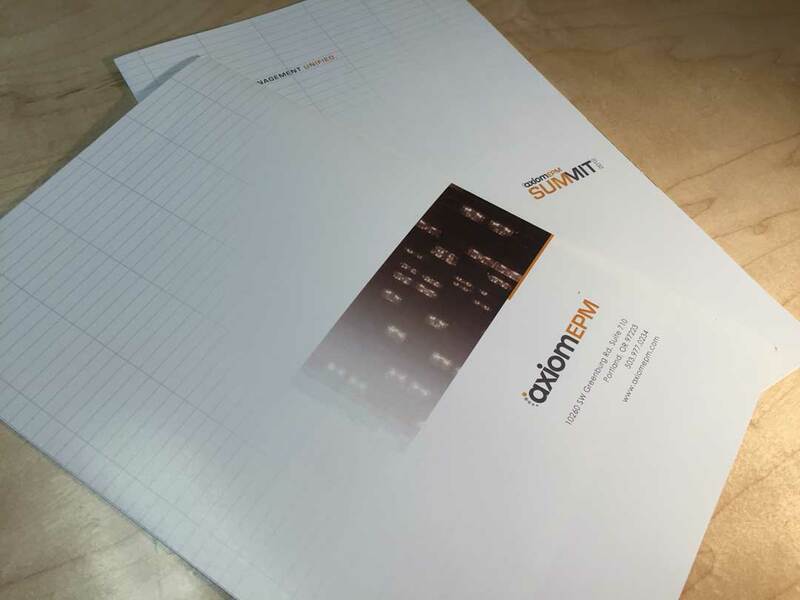 Axiom develops software solutions for the accounting industry. 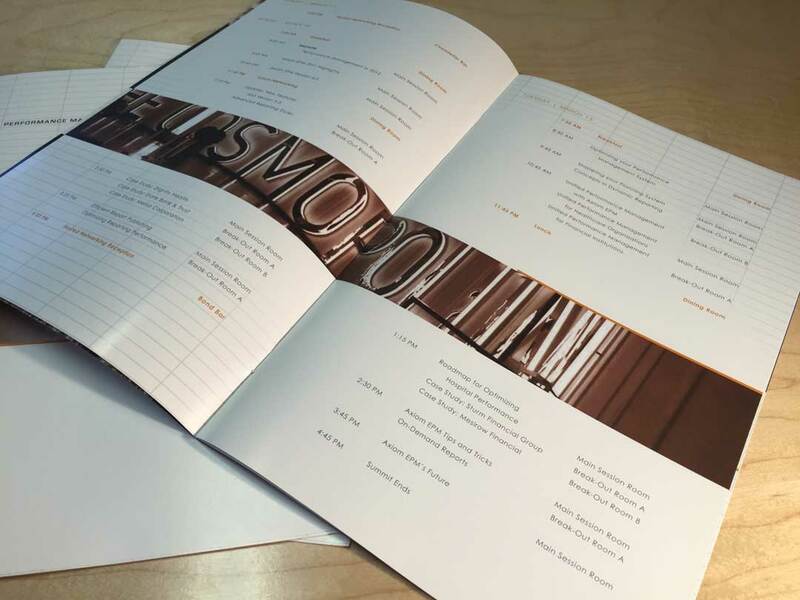 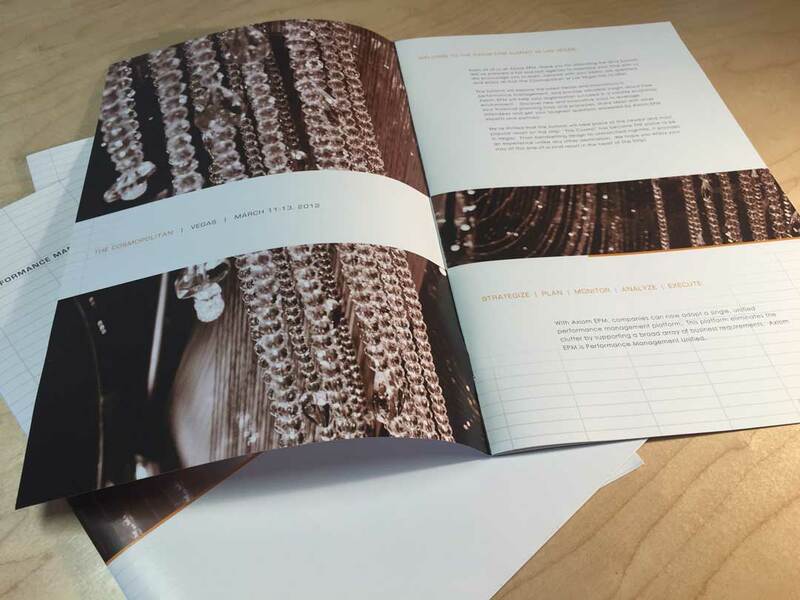 The design approach for this event was to focus on the sleek and sophisticated venue, and bring in elements like the Excel spreadsheet grid to tie the whole visual concept to the financial and accounting audience.